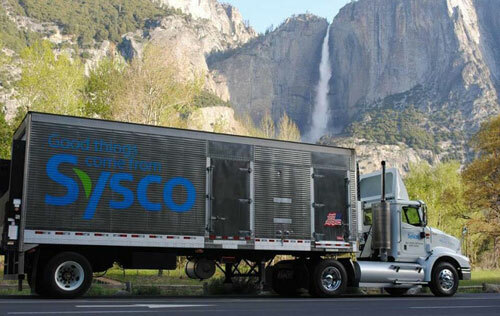 Chances are, you've seen Sysco trucks delivering goods to businesses in your area. But if you're unfamiliar, Sysco is the global leader in selling, marketing and distributing food and non-food products to restaurants, healthcare and educational facilities, hotels, and many other establishments. Especially considering the amount of freight trucks they have on the road, the company releases regular statements on their sustainability initiatives. Although they have had a history of reducing emissions from transport, solar energy is an entirely new feat. Now, Sysco will join the list of big companies, such as Target, Apple, and even Disney, who are making commitments to renewable energy with solar power. Clientele and investors alike are becoming more and more swayed by companies that are reducing their carbon footprint. However, under the surface, commercial solar is about much more than just corporate responsibility— it's about profitability. Since the costs associated with installing PV panels has been dramatically falling over the past decade, installing solar panels has become economic for businesses of all sizes. With more incentives than ever before, solar development has become a goal for businesses in every industry. What may have initially seemed to be only for Fortune 500 companies is now a possibility for small and medium businesses nationwide. If you are, or know, a business owner, get in touch with Solbid about how you could be the next to go solar!